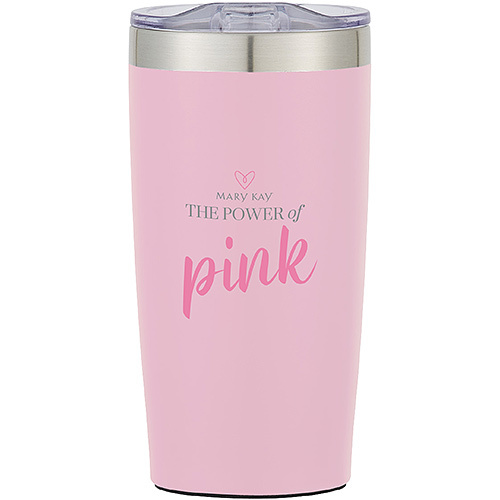 Promote your business and keep your drinks hot or cold for up to six hours with this Mary Kay tumbler. This 20 oz. tumbler is stainless steel inside and out and features double-walled insulation, a non-skid rubber bottom, and a snap-on, spill-resistant slider lid.